The Floral Hall in Covent Garden was established in 1870 by the Earl of Bedford, part of whose estate it then was, for the sale of “fruit, flowers, roots and herbs”. 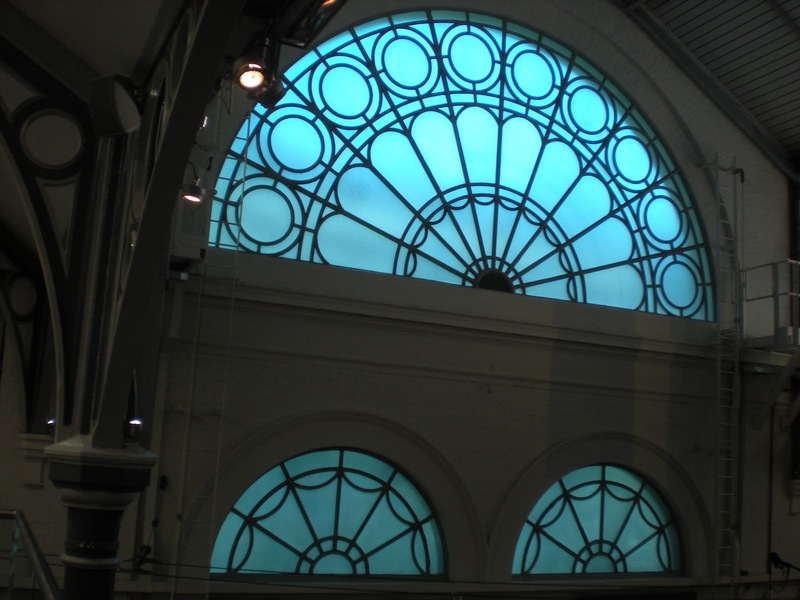 It is a magnificent space, designed by William Rogers, and looking like a cross between a Victorian Conservatory and a Railway Station (see pics). 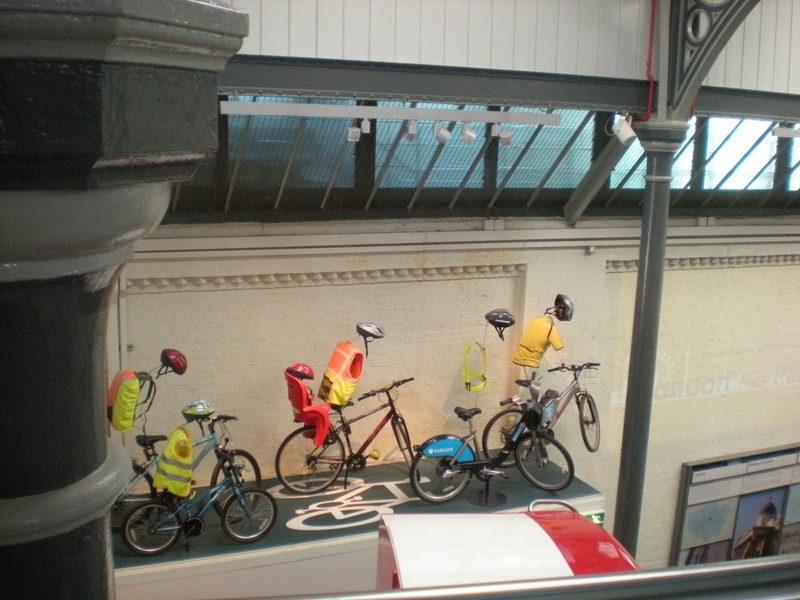 It’s entirely fitting that this feast of cast iron and glass should be home to the London Transport Museum. London Transport celebrates its 150th anniversary this year and the museum has mounted a spectacular display over 2 floors of posters (150 out of a collection of more than 3,300) from the service’s outset in 1863. The exhibition also shows the gifted work of commissioning by the London Passenger Transport Board’s genius Chief Executive, Frank Pick. He made London Transport a key patron of the arts. 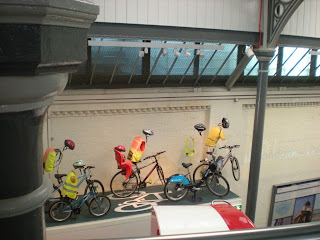 Designs from each decade are shown and you can vote for your favourite. Pick commissioned big: here are works by artists and designers such as Edward McKnight Kauffer, Hans Unger, Graham Sutherland, Tom Eckersley, Laszlo Moholy-Nagy (see pic). 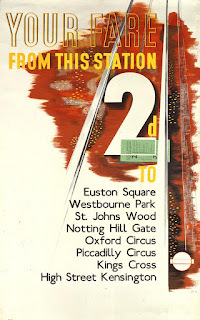 (mind you, they left off the apostrophes on some of the station names), as well as surrealist artist Man Ray’s Keeps London Going pair of posters (1938). 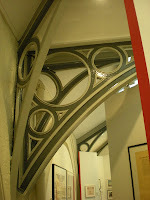 Pick was also responsible for commissioning the modernist architect Charles Holden to design station buildings as well as the headquarters building in Victoria. Underground posters have always been eye-catching – they have to catch the attention of Londoners and visitors to London as they rush about their business. Many of them are now part of the famous V&A prints collection, gifted by Pick down the years as the Underground system and London evolved almost in parallel. 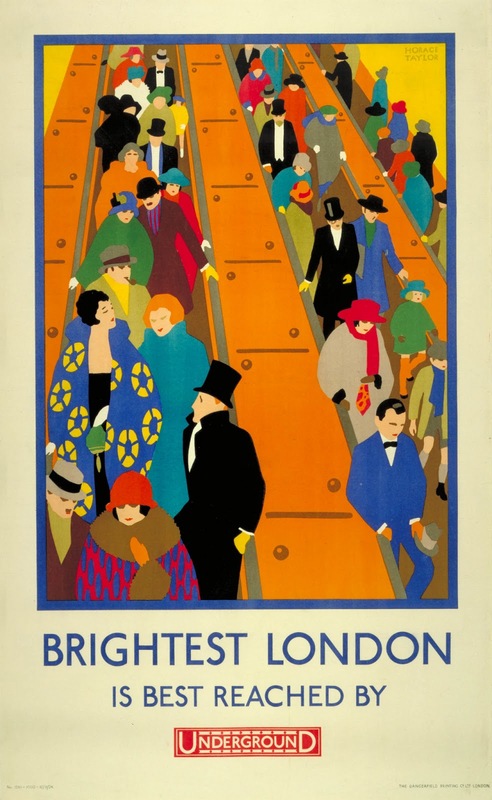 The poster that advertises the exhibition (Brightest London is best reached by Underground by Horace Taylor (1924) (see pic) shows everyone dressed up, the women in designer gear, the men in top hats, and is a testament to how clean and comfortable electric rail had become. 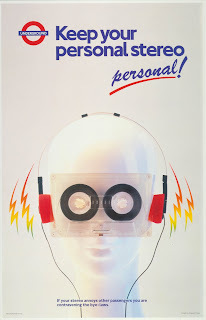 Many of the posters are recalled by Underground personnel with some amusement: the 1987 Keep your personal stereo personal! by Tim Demuth, was so popular that most of the copies disappeared to grace the personal walls of Londoners. These famous posters are available to order from the shop, and include recent posters such as the witty Feast of St George 2013 (see pic) for £9.95. 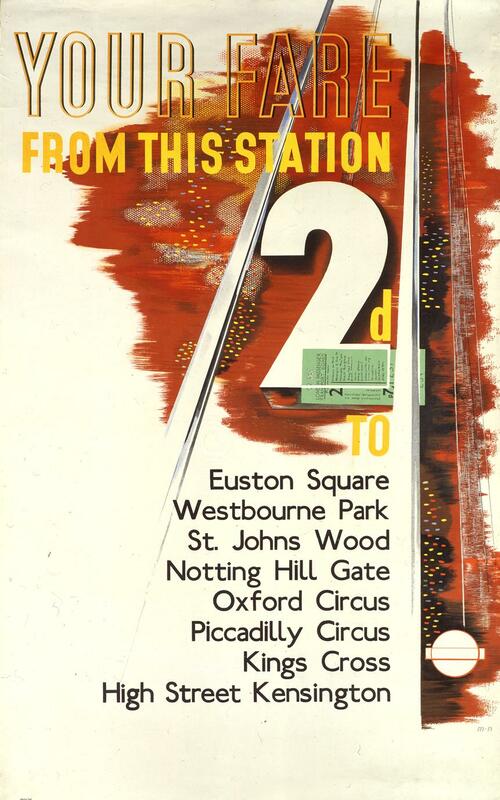 As well as updating passengers about what was happening on the Underground system itself, the posters have always advertised “what’s on” in London. 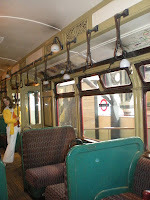 Exhibitions, visits to Kew, places of interest, the Zoo, green spaces such as Epping made accessible as the network was extended. 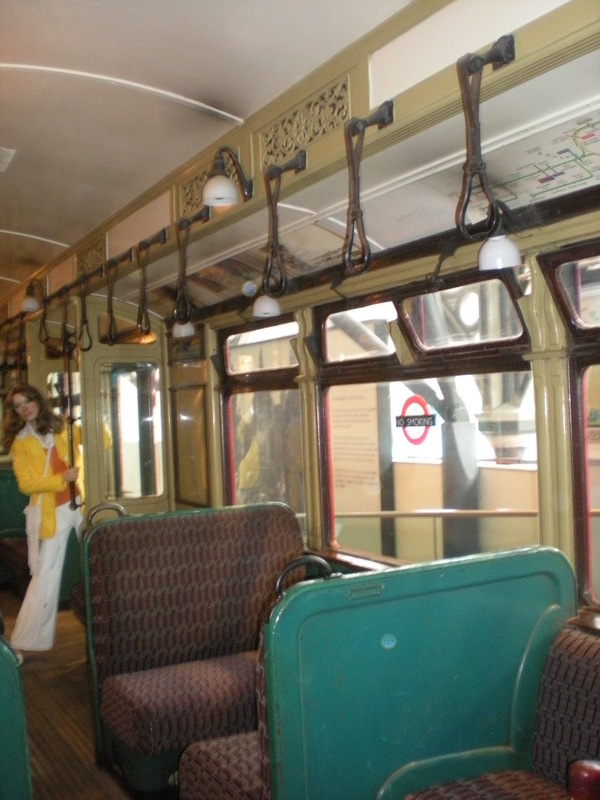 It’s notable, throughout the exhibition and the museum exhibits themselves, that everything was designed, built, engineered, upholstered, polished, ventilated and powered “for London”. This progress was temporarily dented by the arrival of a certain selfish creature that showed no allegiance to London or anywhere else, the motor vehicle. One must blame the French . . .. The illustrator chosen to design posters for the Annual Motor Shows at Olympia was André Edouard Marty (1933). 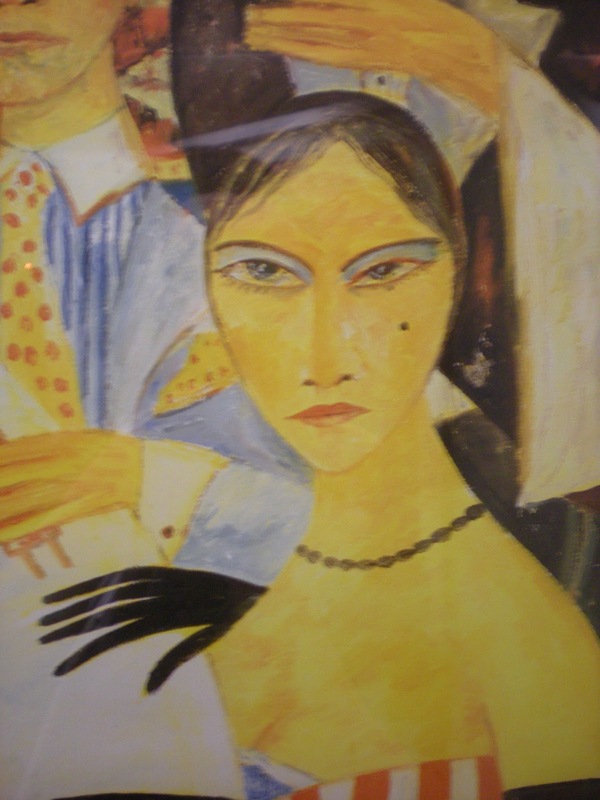 His depiction of fashionable ladies seated at the steering wheel (driving on the right in the French manner it should be noted) with their offspring in a shiny new convertible perhaps struck a chord with the millions of women emerging from the rigours of WWII. Imagine the freedom of driving one of these new machines where what went on “under the bonnet” was the affair of your husband or a mechanic. It’s ironic to think that London Underground’s poster art may have played a part in its own neglect over the decades when the idea of personal transport grew. I must leave it to historians to work that one out. 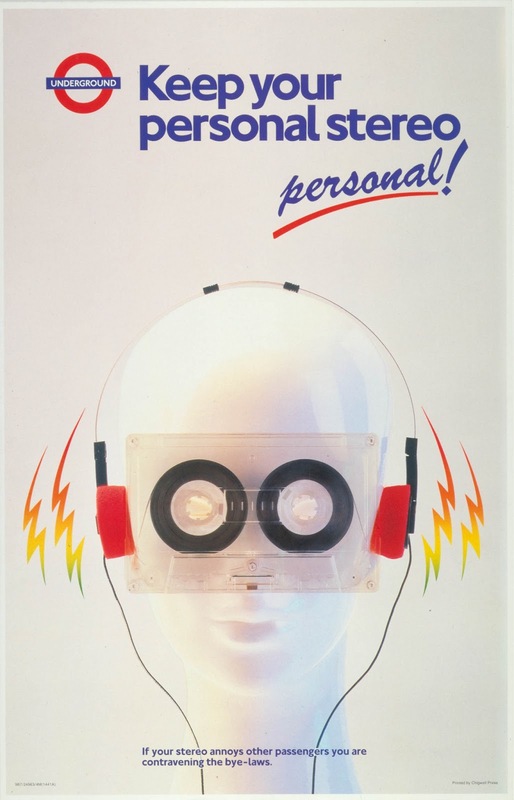 Some posters show that not all the artists loved their subjects. In Chinatown by Underground by John Bellany (1988) we see the artist’s portrayal of a group of Chinese women as stylized but less than affectionate (see detail). 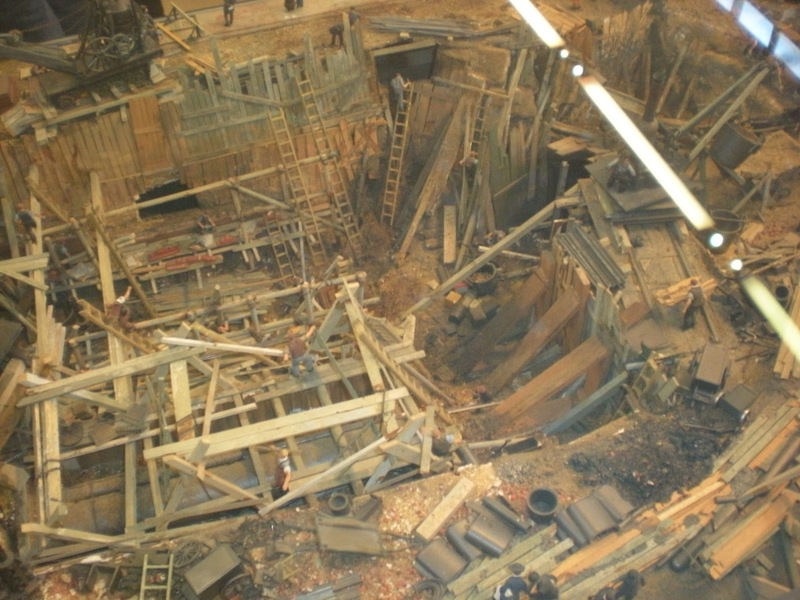 The museum and its exhibits are just as fascinating. Thanks to re-investment and the dedication of TfL’s teams, London Underground has been on the move again for the last two decades. Transport stars such as the Jubilee Line Extension’s Chief Architect Roland Paoletti CBE obtained the dedicated services of architects and engineers to build the Jubilee Line Extension. The delivery of the London Overground is opening up whole sections of London never before served by London Transport. On museum display shows nothing less than the whole history of London Underground over a century and a half. It starts from the first cut and cover line that ran from Paddington to Farringdon (see pic). 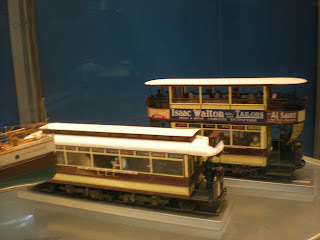 London Underground also had a river boat service and a tram service, the LCC class G electric tramcar, 1906 (see pic). And, hopefully to the Mayor of London’s delight, you will find a family group on bicycles (see pic), part of London’s transport system. The two hours I was there weren't nearly enough. And indeed the £15 ticket (£13.50 concession) buys you not just one visit but unlimited further visits for a year. Under-16s go free. All ages seemed equally fascinated. I have never seen groups of teenagers so quiet and thoughtful. 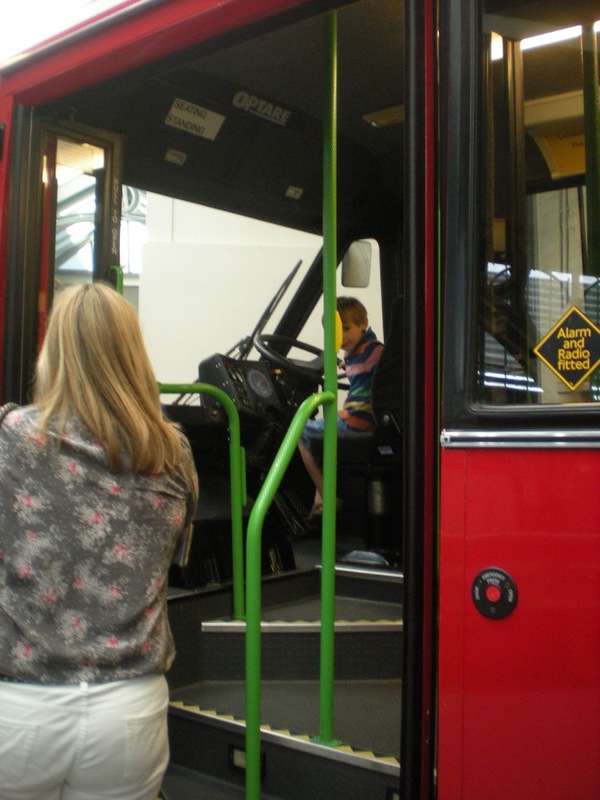 Children from babes in arms to tiny toddlers were engaged; the pre-teens (and probably some of the teens) were all having their picture taken “at the wheel” of a TfL bus or tube train (see pic). The adults were happily queueing to have their photographs taken in one of London's 1970s tube carriages (see pic for a shot of the interior). I got to the Transport Museum by tube, taking the Northern line to Charing Cross (Exit 7 for Trafalgar Square) and walking in a straight line parallel to the Strand, along Chandos Place, Maiden Lane and Tavistock Street, turning left into Tavistock Lane to reach the Piazza. The Museum opens Monday to Thursday 10–6; Friday 11–6; Saturday 10–6. Last admission 5.15. The Poster Art 150 exhibition closes on Sunday 27 October 2013. The nearest tube stations are Oxford Circus, Regent’s Park, and Great Portland Street. The exhibition closes on Saturday, but there is an opportunity to see it on Thursday between 10am and 9pm - for Fitzrovia Lates – and on Saturday between 11am and 6pm.